a vibrant community of faith in the heart of Rainbow City. The church has been a vital part of the community for over 60 years as a place where people are nurtured in spiritual growth and equipped for vital mission in our community. We believe that God is calling us and our community to an even brighter future, and we are excited to be an instrument and witness to what God is doing in the Rainbow City area. If you’re looking for a church home, you’re curious about Jesus, or you just need a safe place to ask questions, we invite you to explore faith and discipleship with our community. Come and see for yourself what makes Rainbow City FUMC a great place to worship, grow, and serve. Every Sunday we gather for worship and learning. We have services and classes for everyone. We hope you’ll join us soon. We look forward to meeting you! When you visit Rainbow City FUMC, you’ll soon see that we are a distinctive community. We strive to provide an atmosphere in which people of all faith backgrounds and those who are brand new to the church can feel welcome and at ease, but also one in which all are able to experience Christ’s love and the majesty of God in new and exciting ways. People come to worship in a variety of clothing styles. Some worshipers choose to wear more formal clothing; others come in jeans and t-shirts. There is no “correct” type of clothing. You are encouraged to come in clothing that you find comfortable and appropriate. We believe that church should be meaningful for everyone and help all people connect more deeply with God, each other, and their community. Sermons focus on helping worshipers forge these connections by developing new understandings of the Bible, themselves, and the ways God is working in the world. We do not see the sermon as a time for berating or judging worshipers, but rather as a time for exploring the rich narrative of the Scriptures and proclaiming the good news of God’s love for us. At times the Scriptures will call each of us to self-examination and repentance, but our preachers strive to communicate these messages in the context of God’s forgiveness through Jesus. Children of any age are welcomed in worship! Younger children are provided with worship bulletins that have activities and Scripture passages reinforcing that Sunday’s focus in ways they can understand. Midway through worship, children are able to come to the front of the congregation for a special message just for them. After the children’s message, kids 12 and under can go to children’s church where they can explore the children’s message further through crafts and songs. We have a variety of groups that meet on Sundays and at other times throughout the week. These groups are not only a great way to learn more about the Bible and dig deep in your faith, but also to connect with others on this journey. Sunday morning classes meet at 9:55 AM in the Church education wing (enter from the main parking lot). For a complete listing of classes, visit our groups and classes page. Be sure to reach out to group leaders if you have questions about any particular group. This is a church of helping hands and warm hearts! Love it! A wonderful church with loving people with a heart for others and missions for the community and world wide. Everyone is welcome! No. As a guest, you are welcomed and invited to share in the worship experience on your terms. Greeters, ushers, and other worshipers will likely extend a personal greeting to you if they recognize you as a new face, but they will do so one-on-one before the service, during the greeting time, or following the service. No one will call attention to you, make you stand up during worship, wear a special name tag, or otherwise be singled out. We welcome several first-time guests every Sunday, so you can be sure that you will not be alone. Rainbow City UMC is a part of the United Methodist Church, a Protestant Christian denomination teaching and proclaiming historic Christian doctrine as contained in the Old and New Testaments of the Bible. As a United Methodist congregation, we are guided by core principles of belief and practice set forth in a denomination-wide book of teachings and rules known as The Book of Discipline. 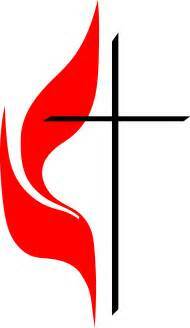 More information about United Methodist doctrine, teaching, and practice can be found at the United Methodist Church website. Though we have these core doctrines grounding our denomination and our congregation, United Methodists are a diverse people. You do not have to understand every aspect of Christian doctrine in order to be a part of our congregation. We believe that participation in the church is the way in which we grow in faith and understanding. The “official” doctrines of our denomination are a guide that shape our exploration and our discovery of the riches of God’s love. We welcome differing opinions and perspectives, for these enrich our experience of God’s grace. Rainbow City UMC’s children’s ministry offers a dynamic ministry for children from infant through fifth grade during each Sunday service. Through creative, exciting Bible teaching, our Children’s ministry is designed to capture the imagination of the kids and open their minds and hearts to Bible truths that will impact their lives in incredible ways. Though we welcome children of any age to join in worship, a nursery is provided for children infant through 3 years. The nursery opens at 8:40 and goes through the end of the sanctuary worship service (about noon). Kids can be picked up and dropped off at any time. The nursery is staffed with paid caregivers and volunteers who are specifically trained to care for younger children and to ensure that they have a positive experience while at church. Children one-year through 5th grade are encouraged to participate in the beginning of the worship service. They then can come to the front of the Sanctuary during the greeting time, after which there is a special message for kids. Following the children’s message, kids are dismissed to children’s church. All children’s settings are secure and are staffed by trained, caring volunteers and staff. Visit our Children’s Ministry page to discover more. What will my older children do on Sunday? We have Sunday school classes for all ages of children, including teens, on Sundays at 9:55. Children fifth grade and up are invited to share in the worship experience. For kids sixth grade and up, we have a youth group that meets weekly on Wednesday evenings, during which time older kids can participate in fun activities, mission service, and in depth learning opportunities. Visit our Youth Ministry page to discover more. Sunday worship is just the tip of the iceberg of what Rainbow City UMC is all about. There are many opportunities through which you can share in ministry, explore your faith, and get connected to our church. At Rainbow City UMC membership is not a destination or a status; it’s a journey. The best way to start your journey is to get connected in worship, small groups, and service areas. Formal membership is a way of saying you’re committed to the journey of faith. Visit our membership page or speak to the pastor about your desire to join Rainbow City First UMC and be part of our ministry. How does RBCFUMC support the community? At Rainbow City UMC, we believe that even before we step out our doors, God is in our neighborhoods, in our communities, and in our city working for the advent of God’s reign. God is inviting us to join him, not the other way around! Therefore, our job is to join God in these places and participate in the ministries to which God is inviting us. We strive to be an integral part of the community, and move into the community to show Jesus’ love throughout the year. We have many formal ministries that seek to address the difficult challenges of our urban setting, including injustice, poverty, and hunger. Visit our Serve page to discover more. Will I be excluded for any reason? No. You will not be excluded for any reason. Our congregation is welcoming of people from all walks of life, diverse ethnicities, and differing economic means. We believe this diversity enriches our experience of God’s presence and enables us to better seek and serve God’s purposes in our church and community. What draws us together is not superficial appearance, but rather a shared commitment to serve and worship the God incarnate in Jesus Christ.